How do I see what my stamp will look like with my information? 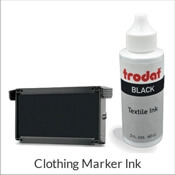 What is the difference between a self-inking and a pre-inked stamp? 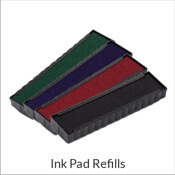 In a self-inking stamp, the ink pad works with the die to leave an impression, then retracts back into the stamp body. With a pre-inked stamp, the ink is inside of the stamp, so the only time you’ll see your stamp’s ink is when it’s already on your surface. 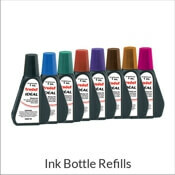 A pre-inked stamp is also a lot quieter than a self-inking stamp, and it comes with a stamp cap so your ink doesn’t dry up over time. Pre-inked stamps are recommended for the best detail and will last much longer before needing to be re-inked. 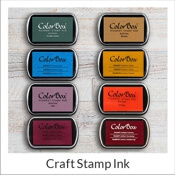 A traditional hand stamp (wooden handle) along with a separate ink pad of Supermarking Ink is recommended. To view additional videos, click here.